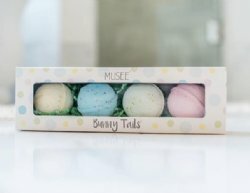 Do you need a cute gift for Easter? This gift box contains four, mini 5 oz. 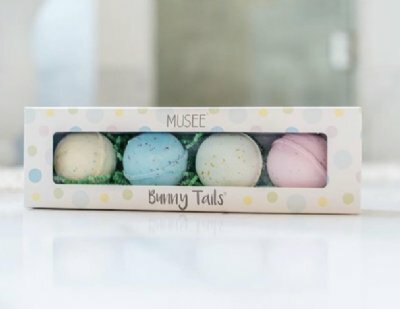 bath balms that decorate the water with pastel colors and sweet, sugar crystals. The fragrances include: Waterlily & Jasmine, Dandelion Pear, Tayberry & Teakwood, and Honeysuckle. Inside, find a Easter bouncy ball treasure that will surely have you bounce with excitement!